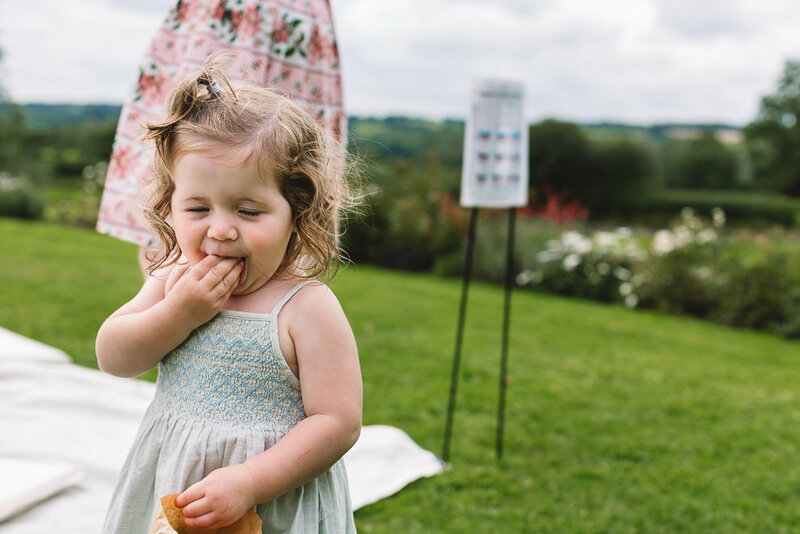 Lauren + Clayton had a beautiful outdoor wedding ceremony at Hyde Barn in the Cotswolds, with Pimms and a bouncy castle on the cards I knew it was gonna be a really relaxed fun summers day, even if the forecast was rain! Rain it did, that didn’t stop these guys from having an absolute blast. 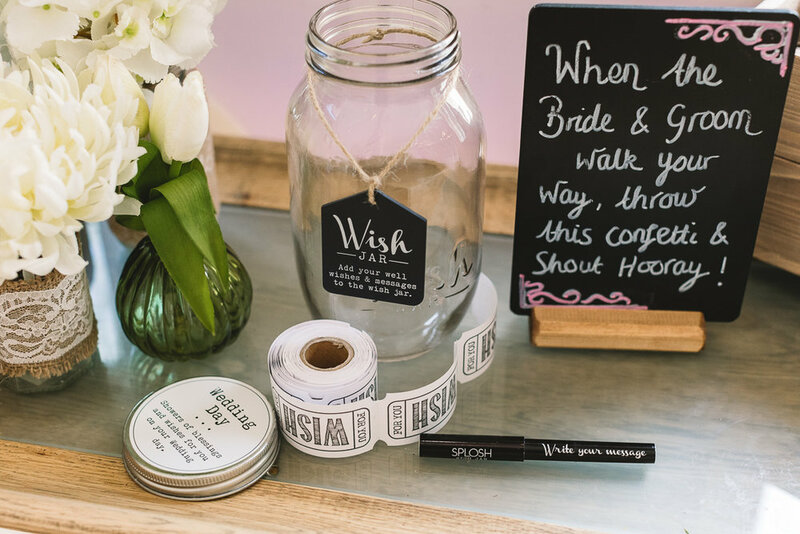 The wedding was full of wonderful personal DIY details, from photo collages to personalised beer bottles in tribute to Clayton's late father. An emotion filled day, full to the brim with love and a total honour to be a part of. Oh and Lauren looked absolutely STUNNING in her vintage style dress, and that Clayton sure knows how to pull off a bow tie. Huge thanks to Lauren and Clayton, it was an awesome way to spend a Sunday! Clayton and I met on a field, quite the standing joke. Me and my best friend went over one afternoon after a visit to the Black Country Museum. I had one of those wooden cup and balls, Clayton strolled over and immediately asked if he could have a go... the rest as they say is history! Clayton proposed whilst we were away in Greece, we were on our balcony looking out at the stars when Clayton proposed, the light was broken so we were in the pitch black with nothing but the sky light. Pretty romantic! The day from start to finish was nothing short of perfect. I spent the morning getting ready with my beautiful mother, bridesmaids and flower girls. It was a special morning I will always cherish. Followed by the first meeting of my Dad, tears all around! It seemed as though the day flew by and before we knew it the ceremony was over and we were dancing the night away! I could not possibly choose any best parts as I loved the whole day, however the dance offs are one of my favourites to look back on. We spent 2 years planning our wedding and it flew by so fast. 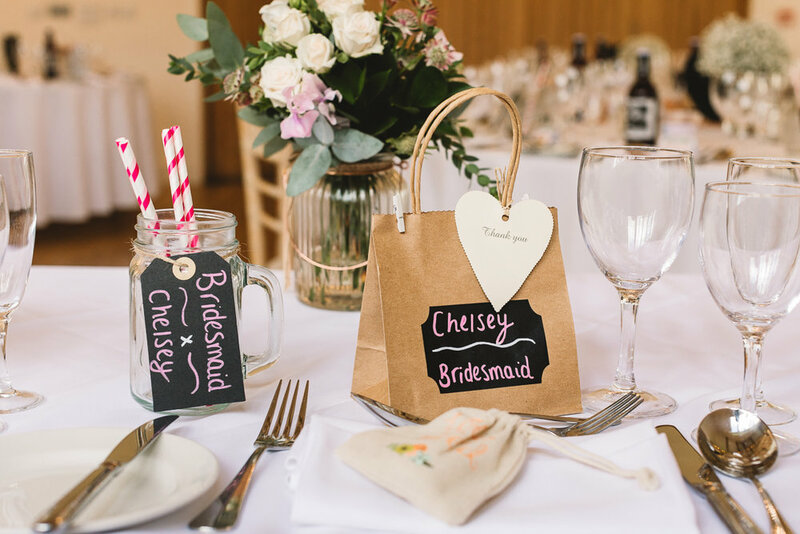 I loved everything about it, particularly adding our own touches by doing little D.I.Y gift favours such as the bottled ales in tribute to Clayton’s late father. The crackling tubs as my father has been in the pork scratching industry all my life! Homemade soaps, amongst other things. It was lovely to see our own ideas being brought to life. 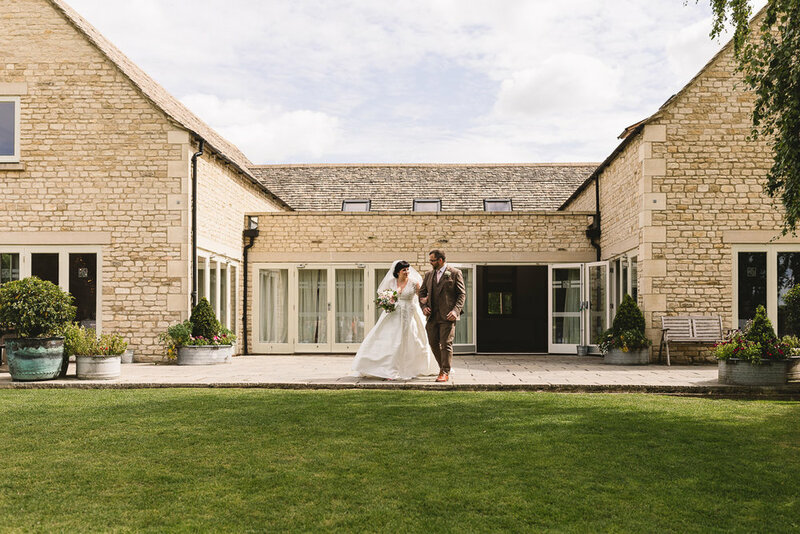 We chose Hyde Barn as we fell in love with all it had to offer, with stunning views and just a beautiful place overall. 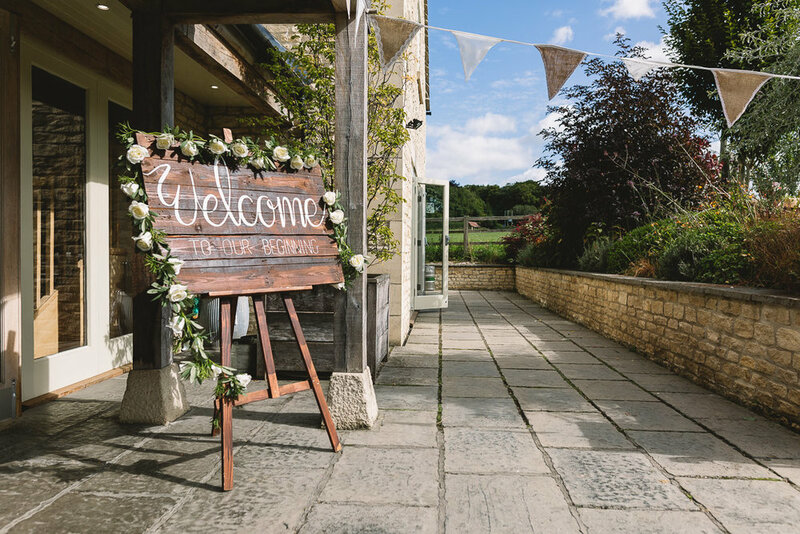 We often visit the Cotswolds and it just seemed the perfect venue, we love it. What was it you loved about your outfits and accessories? 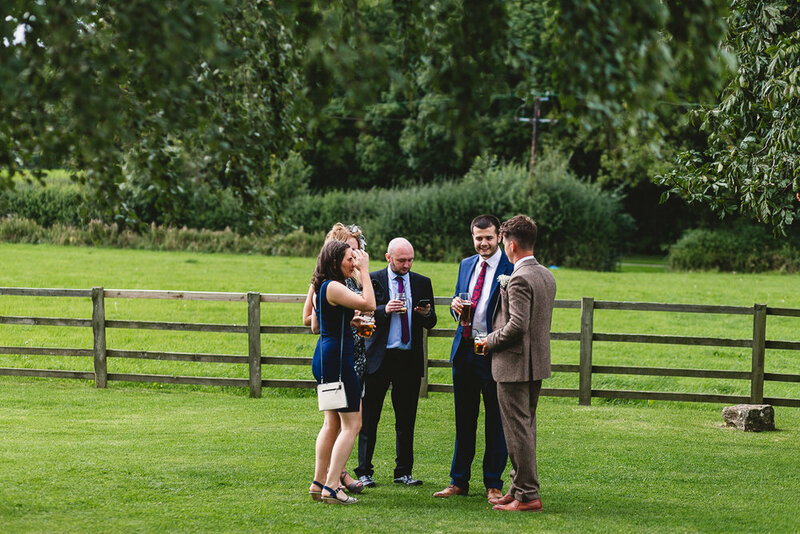 We chose a tweed suit for the guys as we felt it really suited the theme and was a little untraditional. Myself and the bridesmaids were in classic dresses and the flower girls as we wanted simplicity. 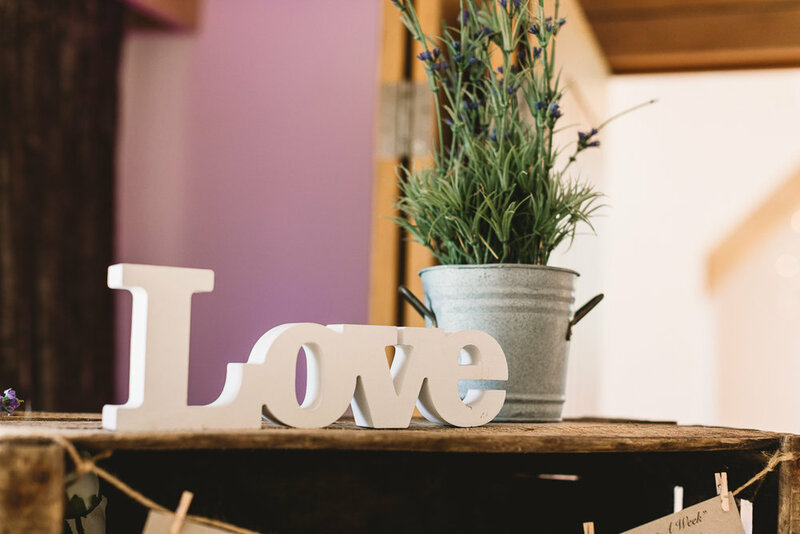 We wanted our decor and styling to be mainly flowers on the tables and surrounding areas with our D.I.Y touches added to it, we created our own initials for the top table with flowers, we used chalkboards for the table names and welcoming people to our day. 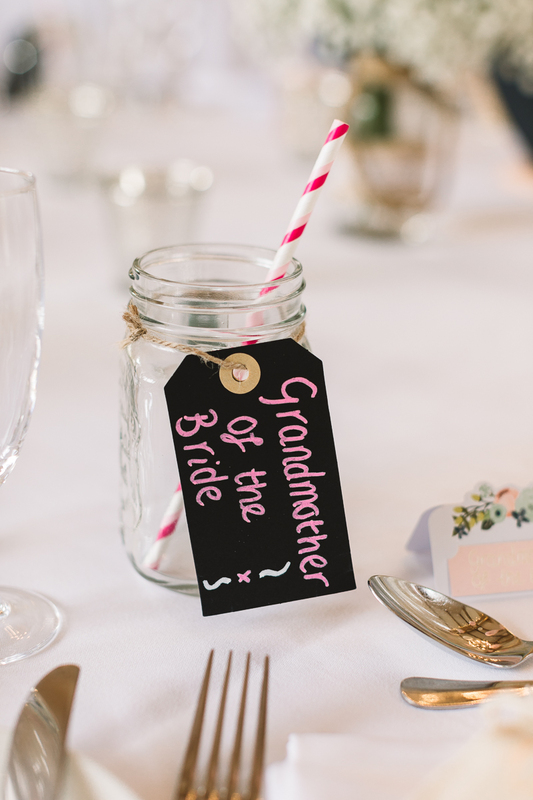 We had a vintage feel to our wedding and wanted to make sure we added our own stamp on it all! Tell me about your Ceremony, did you do any readings? 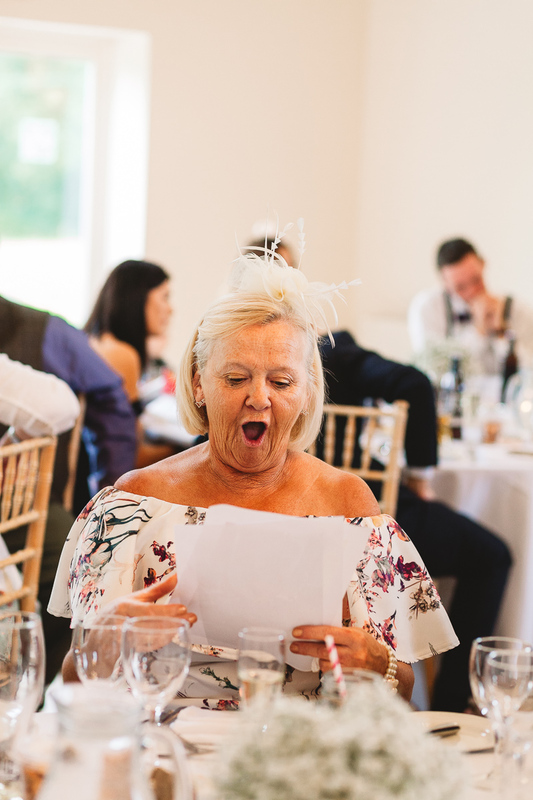 We chose our own readings for the ceremony which was a nice touch to be able to share how we felt with all our guests on such an important day. 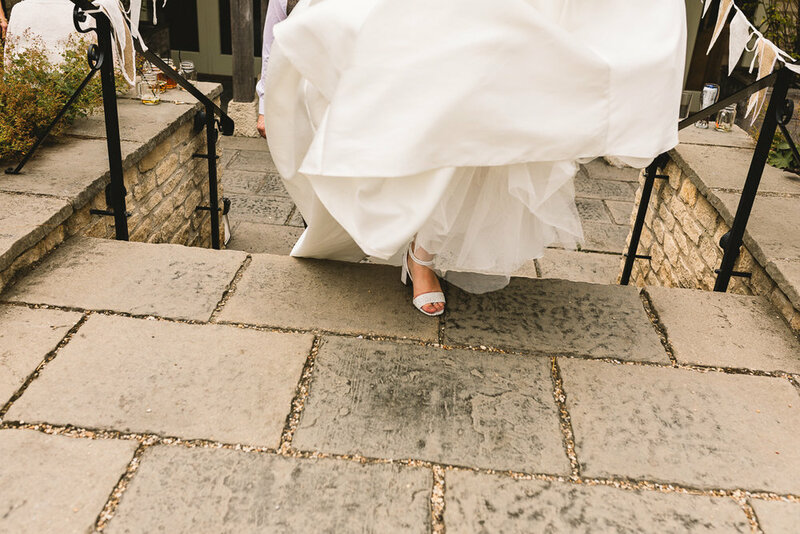 Working with Kate was our photographer was a breeze! 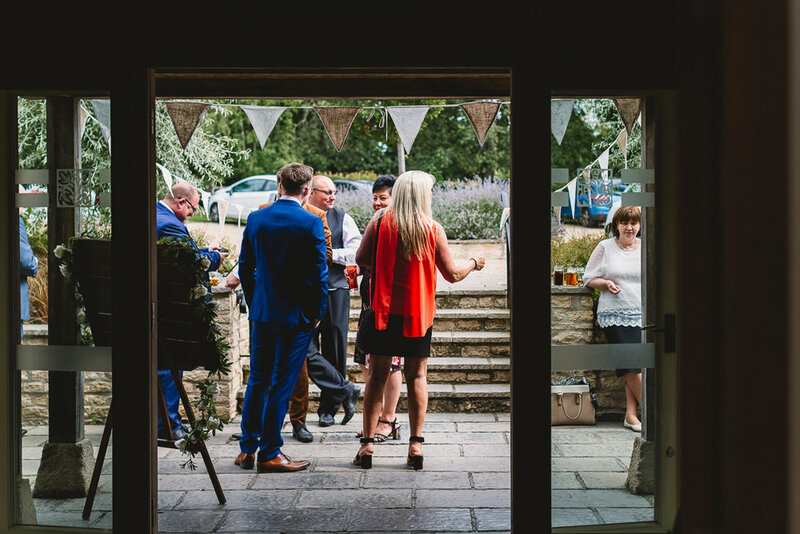 Kate is so effortless behind the camera and captures the most amazing photos, she blends effortlessly into the day that you almost forget your photos are being taken, giving you the most natural photos. 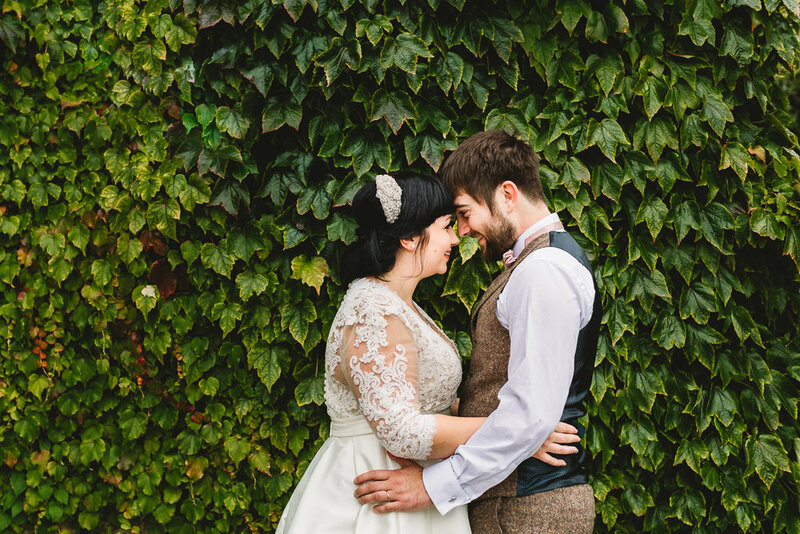 We booked Kate after looking at her photography and seeing how well she captures the perfect moments. From the offset it was clear to see how much passion Kate has in photography, she was so easy to get along with and always kept in touch with us every step of the way. 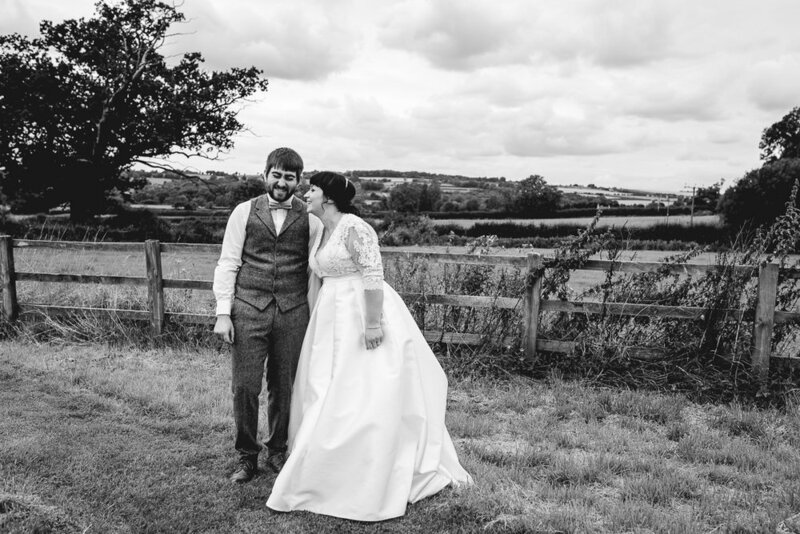 When we received our photos we were so pleased, they went above and beyond our expectations and are now on canvases in ours and our families houses! Our music for the ceremony was all classic Beatles love songs, as my husband is a huge Beatles fan it felt only right! It also fitted in with the theme as we named the different tables after Beatles songs too. For our first dance we chose The Zombies - This Will Be Our Year. A perfect song that explained us so well! 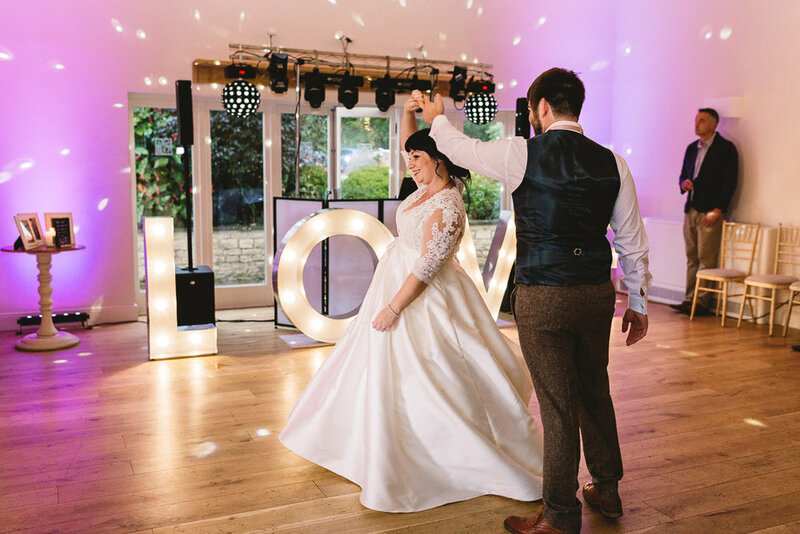 We soon followed with a classic that got all our guests up and dancing, Can’t Take My Eyes Off You. We ended with Hey Jude, again by The Beatles! We also had a bouncy castle during the day, it went down a treat with the children, and of course myself and Clayton had to have a quick go! We had a vintage photo booth in the form of a horse trailer, everyone loved this and we now have a lovely scrapbook of the photos to treasure. 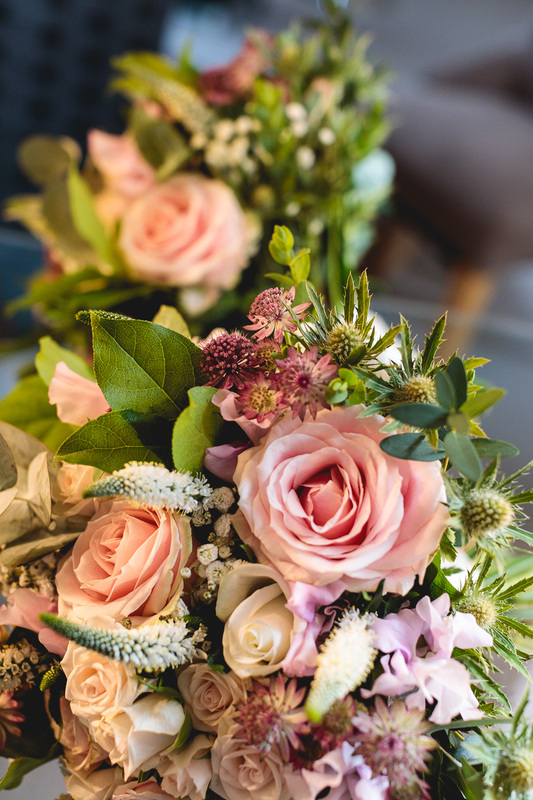 If you could give some advice to couples planning their wedding what would it be? 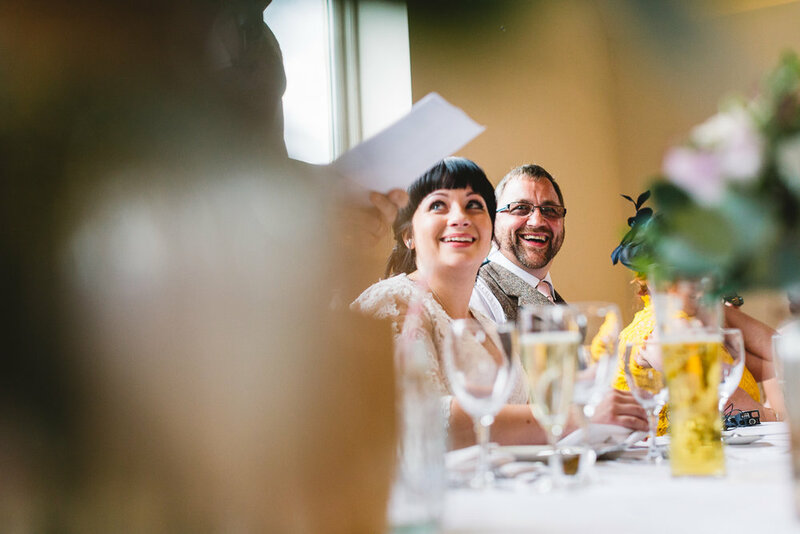 Take your time and search for the people you truly want to capture your special day, it is so worth it! 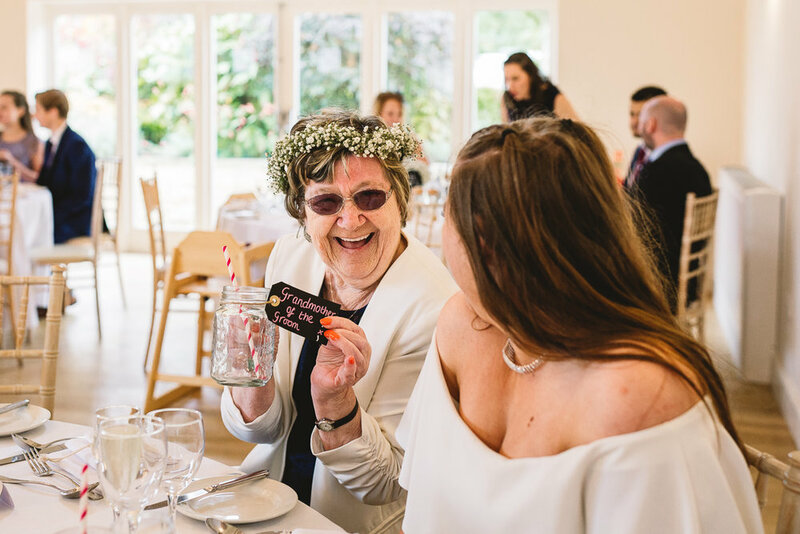 Enjoy every moment and add your own touches to your wedding, it is so rewarding to see things you have created or dreamt about come to life! Massive thanks to Chloe Lee for second shooting for me on this! 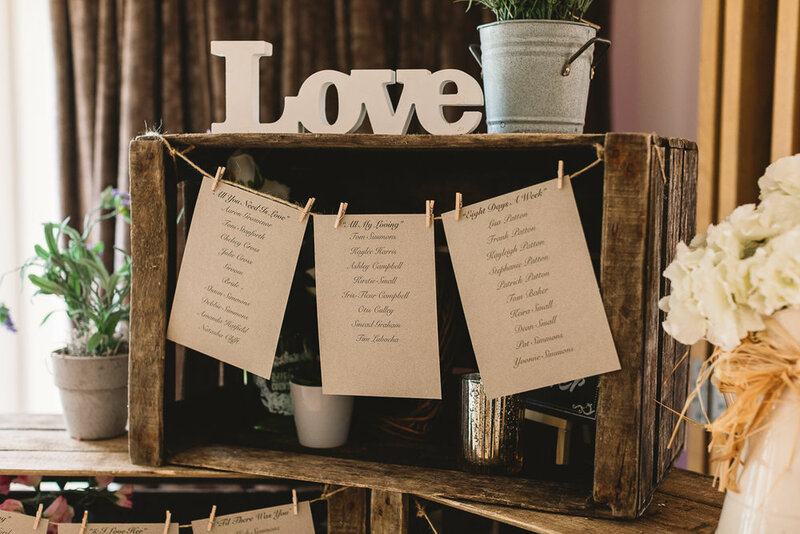 And to all the awesome wedding suppliers! 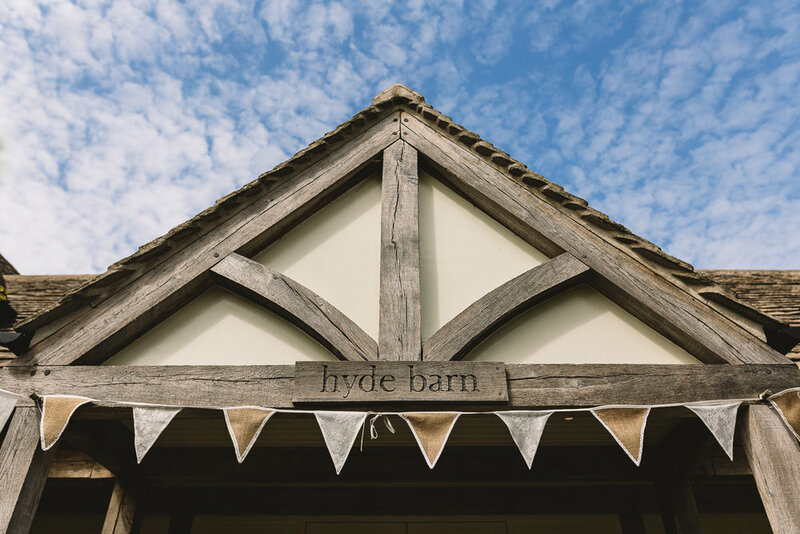 Are you planning your Hyde Barn wedding? I'd love to chat to you. 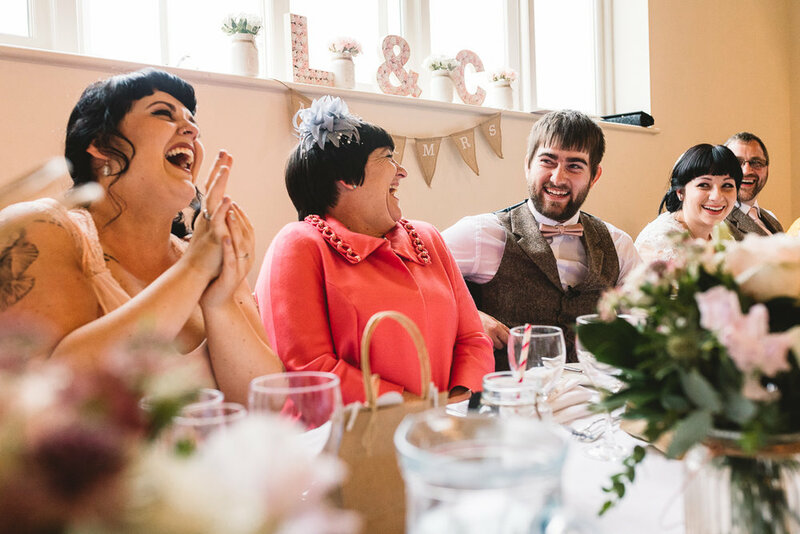 I'm an informal, relaxed and fun documentary style wedding photographer based in Birmingham, in the West Midlands. Covering Warwickshire, Cotswolds and UK Wide. 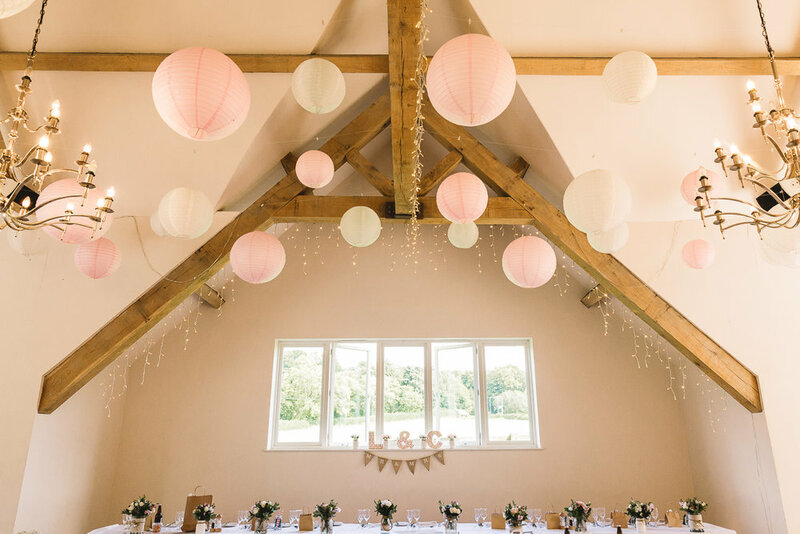 As well as travelling to Europe and Worldwide for Destination Weddings.